About one hundred years have passed since the conclusion of the Sykes-Picot Agreement and now neither Sykes is alive nor Picot. Britain’s Sir Mark Sykes and France’s François Georges-Picot started a saga through conclusion of a short and apparently simple agreement, which later on affected the lives of many peoples and nations in the Middle East and became a turning point for determining the fate of Turks, Kurds, Arabs, Palestinians and other people in the Middle East. 1. In Iran, due to many reasons, including special bonds that exist between Kurdish people and the Iranian society in general, extreme weakness and withering away of various anti-government parties, the fact that such parties do not enjoy strong political and popular base, and also due to religious and other differences, Kurds are not on course to raise any protest or rise against the Sykes-Picot Agreement. 2. In Turkey, the Kurdistan Workers’ Party (PKK), as the most important political and military Kurdish group in this country, has chosen such a course that its jailed leader has frequently announced there is no need for Kurds to seek independence and establish a government of their own. On the other hand, at least during the past year, this party has become so weak and has suffered such heavy casualties that it cannot practically have a serious say in this regard. Also, it is not unlikely that judicial immunity of PKK lawmakers at Turkey’s national assembly would be revoked in the next coming months as a result of which the way would be paved for leaders and other effective members of the pro-Kurdish Peoples' Democratic Party (HDP), which is the most important legal institution affiliated with the PKK, to go to jail. At the same time, the PKK has not been able to take its name off the list of international terrorist groups and, as such, does not enjoy international legitimacy. 3. In the Iraqi Kurdistan Region, the situation is quite different and there is the highest preparedness and willingness to build an official, separate and independent Kurdish entity among political parties in this region. Masoud Barzani is the vanguard in this regard and is doing his best to take this case to a final positive closure during the period of his political and personal life. Of course, there are serious differences among various Kurdish parties in Iraq, which follow different nationalist, leftist, Islamist and social democrat approaches, over a variety of issues and interests, but when it comes to the necessity of dismantling the Sykes-Picot Agreement and form an independent Kurdish government in Iraq, all of them are unanimous and even if there is a difference in this regard it is about such marginal issues as the timetable and ways of achieving this goal. 4. In three Kurdish regions of Syria, that is, in Jazira, Kobani, and Afrin, political and military institutions affiliated with the PKK have full control over the power reins. They enjoy a special geographic and defensive position as a result of which, with the exception of Daesh and other terrorist and Takfiri groups, they can cooperate with the United States, Russia, Syria’s President Bashar Assad, and even Iran and others. Although this group of Kurds is still on Bashar Assad’s side in line with an unwritten agreement, they have raised certain claims about how to manage these regions, which have not been accepted by the government in Damascus. As a result, during the latest conflicts in Syrian city of Hasakah, more than 10 armed man affiliated with Assad’s army were killed by Kurds and more than 100 Syrian soldiers were taken into captivity by Kurdish defenders. Therefore, if the scenario, which seeks to oust Assad from power, is put in gears, Kurds in these regions would seek to establish a political structure, and even if it would not be an independent state, it would not be anything less than the current structure in the Iraqi Kurdistan Region either. However, even if Assad remains in power, Syrian Kurds would not go back to the past situation. What if the Iraqi Kurdistan Region declares independence? It is possible that in order to declare their independence, Kurds would not wait for permission from the United States, Europe, Iraq, Iran and other regional countries forever, and may face these countries with fait accompli. In view of the current situation in Iraq and the country’s ailing government, it seems that not only there would be no firm opposition in the face of such a possibility, but it is even not improbable that part of Shia political institutions and a large portion of Sunnis would agree to it. 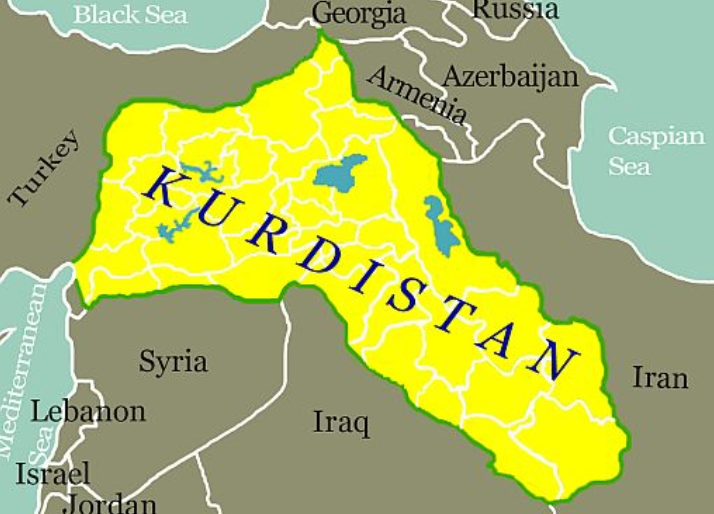 In the meantime, let’s not forget that in the Iraqi Kurdistan Region, Kurds enjoy such facilities and important drivers for independence as military and defensive power in the form of the Peshmerga forces, relative economic power based on the region’s oil and gas reserves, as well as official international relations and political experience. In recent years, Kurds have proven in Iraq and Syria that they have no problem with non-Kurdish citizens in their region, but can also make them a partner to their political and executive power by giving big concessions. It should be also noted that serious threats posed by the Daesh Takfiri terrorist group and dangerous measures taken by this group in Iraq and Syria, in addition to serious fight against Daesh by Kurds have all created a new situation in the region, which makes resilience toward and interaction with Kurds look like a wise and logical option. It may seem strange, but it is very unlikely that a sudden declaration of independence by Kurds in the Iraqi Kurdistan Region would elicit sharp international reactions. Now, one must wait and see whether the Iraqi Kurdistan Region, especially the Kurdistan Democratic Party and its leader Masoud Barzani, would accept such a risk, or prefer to listen to their consultants and neighbors and defer the implementation of the secession scenario to a later time.